Try-It Days for New Players! Please pass on to any families you feel may be interested!!!! Bring your friends to try the game of lacrosse. 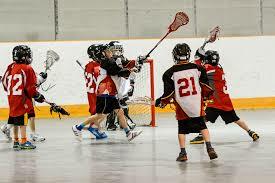 Even if they have never touched a lacrosse stick before it is a great way for them to try out the game. Our association registration timeframe is fast approaching and we want to make the Sabrecats the best and biggest organization in Calgary! Extra sticks and basic techniques will be shared!! REGISTRATION IS FREE! Let your friends know that there are change room facilities at the Centre but it is best for you all to show up with running shoes and in gym-type activity wear (do not forget your labelled water bottle). NO EQUIPMENT is required! The Sabrecats will provide sticks and balls. Please note that no helmet is required either as the kids will be learning basic lacrosse skills with NO CONTACT. The Timberfest Memorial Tournament is Back!